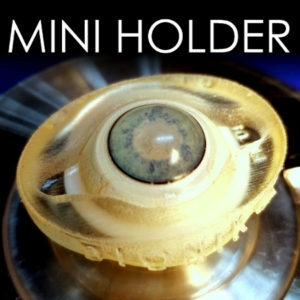 MINI HOLDER is our most cost effective holder. It shines where space and simplicity are a priority. Fix it to a smooth surface with its suction cup, or adapt it to larger head models. Its simplicity is well suited for fast paced wetlab environments as well as self-directed training.